Parkland Fuel Corp. is acquiring the assets and business of Holbrook, Arizona, U.S.A.-based Bradco Inc. and its affiliates through a wholly owned subsidiary. A distributor of fuel products and services to customers throughout the Southwest U.S., Bradco’s assets include four Pacific Pride cardlock facilities in Holdbrook, Show Low, Payson and Springerville, Arizona. The company distributes ExxonMobil lubricants and specialty products, and distributes cardlock fuels and bulk oils from its warehouses and terminals to locations in Arizona and New Mexico. The deal follows the acquisitions by Parkland Fuel of Rhinehart Oil Co. Inc. and Missouri Valley Petroleum Inc., earlier this year. Under the terms of the purchase agreement, Parkland will acquire all real estate assets used in the operation of Bradco’s business. Following the acquisition, Bradco will operate under Parkland USA, a division of Parkland composed of several of the company’s wholly owned subsidiaries. Parkland Fuel Corporation is one of North America’s fastest growing independent marketers of fuel and petroleum products. 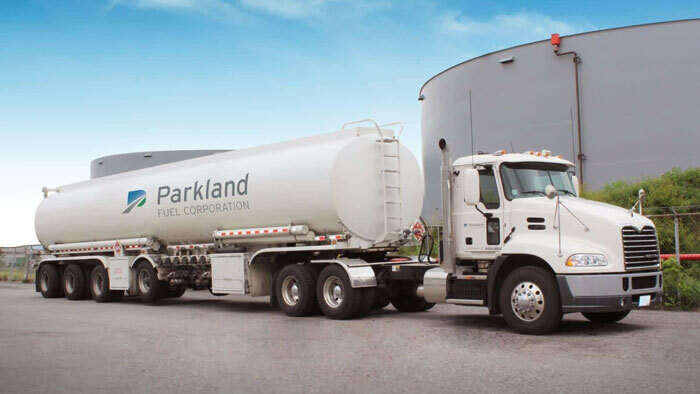 Based in Calgary, Canada, Parkland Fuel services customers through three channels: retail, commercial and wholesale. Parkland optimizes its fuel supply across these three channels by operating the Parkland Burnaby Refinery, and leveraging a growing portfolio of supply relationships and storage infrastructure.